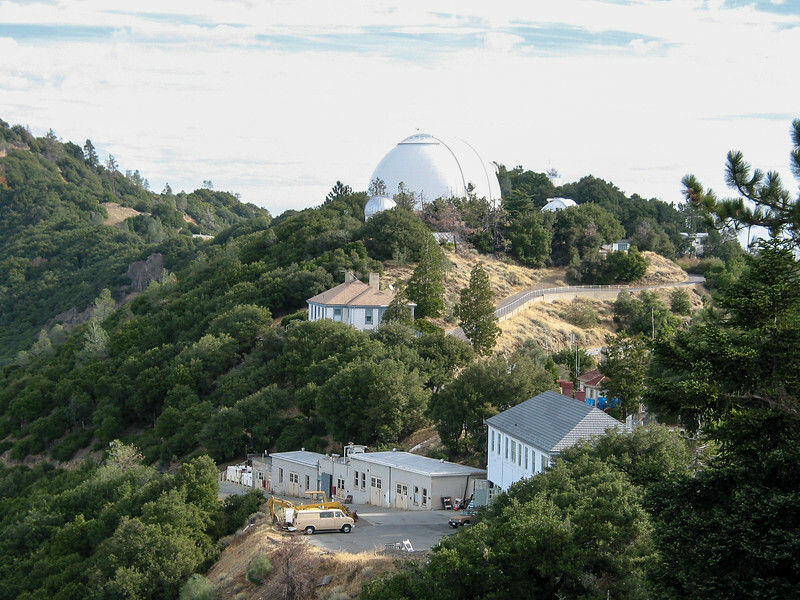 Lick Observatory is about 20 miles of winding mountain road east of San Jose, CA, on top of 4200' Mt. Hamilton in the Diablo Range. Opened in 1888, it was the first permanently occupied mountaintop observatory in the world. There was originally a 12-inch telescope, and the Great Refractor, then the largest in the world, with 36-inch lenses cast in France and polished in Boston. James Lick, who donated the money in his will, is actually buried under the telescope! Large telescopes these days are mirror telescopes, with only one large glass piece, and Lick now also houses the Shane 120-inch Reflector.